In 2004, the tank farm of an active petrol filling station was replaced and most of the contaminated surrounding soil removed, leaving residual contamination both in the vadose zone and groundwater, with a plume extending outside the site boundary. 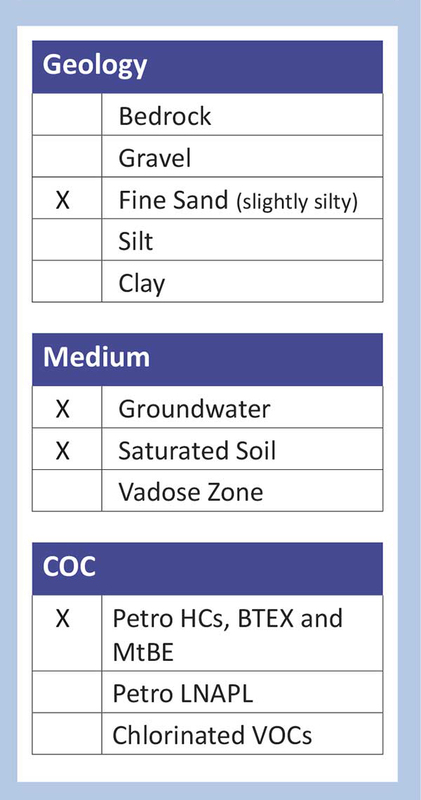 After extensive treatment lasting for more than 4 years with Dual-Phase Vacuum Extraction (DPVE) and Pump & Treat (P&T) systems, the vadose zone had been remediated to target levels, but an alternative technology was needed in order to improve and accelerate the recovery of hydrocarbons from the still contaminated aquifer. REGENESIS’ PetroCleanze® was injected across two existing fixed wells used previously by the P&T system, located in a secondary source area. 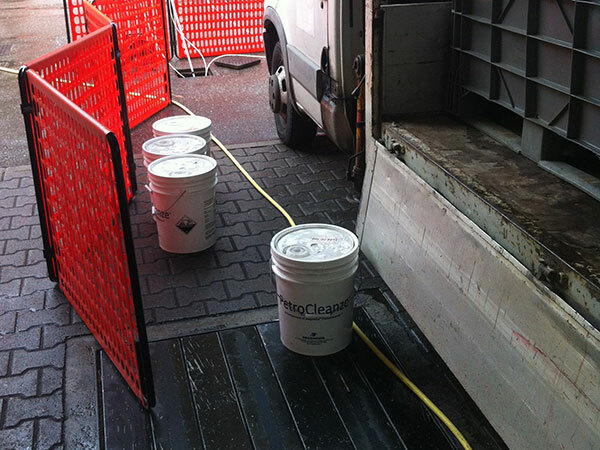 Following application, PetroCleanze was left for a period of ten days to actively desorb the hydrocarbons from the soil into the dissolved phase, which was subsequently recovered using a vacuum extraction truck. Two identical injection and extraction campaigns have now been carried out. 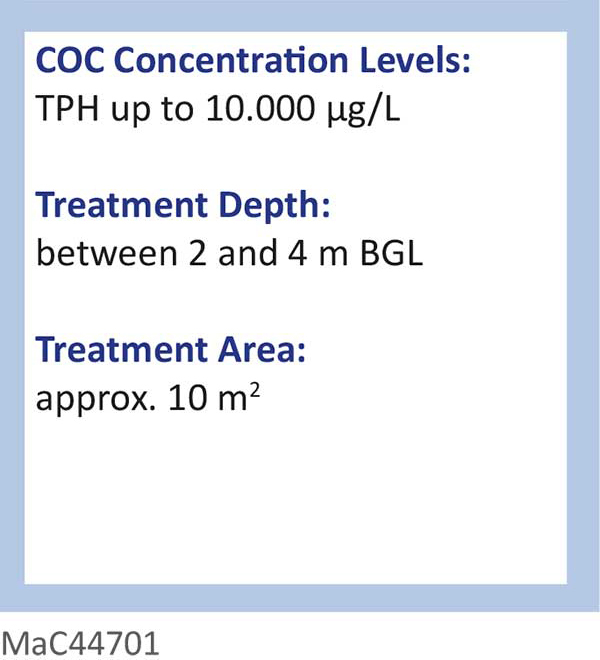 Once the secondary source has been removed, enhanced aerobic bioremediation of the plume will be undertaken using both ORC-Advanced® and ORC-A Primer®, as full-scale polishing step. 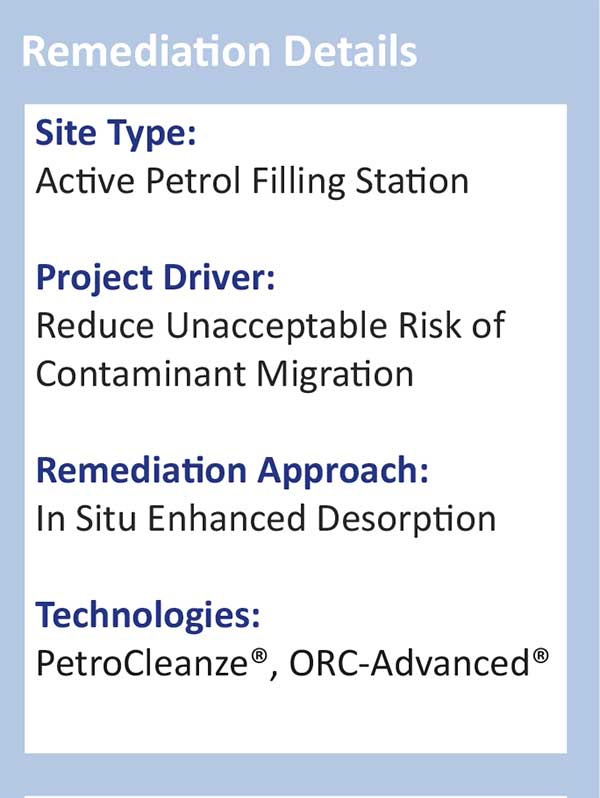 Enhanced chemical desorption using PetroCleanze allows for fast and effective secondary source removal, achieving consistent results within a couple of months, increasing the efficacy of standard P&T recovery systems.